Kids Matching cards is an interesting Fun Memory Game to play and to improve kids memory. 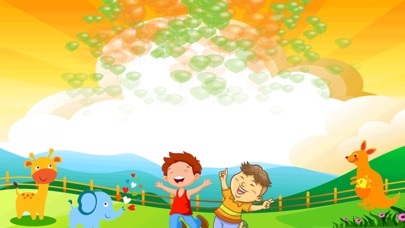 This is an educational, engaging and entertaining game for children of all ages. Rule is simple: making the same couple of image to get point. Playing this animals game with your kids will help them improve their recognition while having fun. 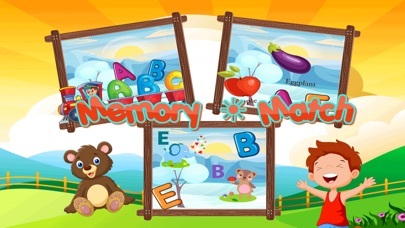 With three different difficulty levels, train and test your child’s ability to concentrate and then commit things to short term memory. 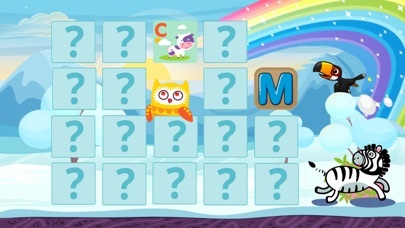 You have to match two same animals, gradually complete all objects from the grid with in the time. It will increase your brain performance and voice overs are provided by professional voice artistes who deliver accurate enunciation of numbers and words. Encouragement sentences are also spoken whenever the answer is correct. Let your toddler learn correctly through positive reinforcement!